Conservation means not only protecting the land, but keeping it in good condition, too. POST’s stewardship team uses both traditional and innovative techniques for evaluating, prioritizing and caring for open space on each POST-owned property. Our work ranges from essential maintenance like re-grading roads, fixing fences and managing vegetation for fire control, to ambitious long-term restoration projects that create vibrant habitats for native plants and wildlife. Other examples include invasive weed eradication, developing new trails, reviving river, stream and creekside habitats, and managing productive working lands like ranches, farms and forests. We also monitor permanently protected lands annually by working with the landowners to ensure that the terms of our conservation easements are being met. Working lands include farms, forests and grazing land. POST projects promote productive use of these lands while protecting and enhancing natural resources. Recent projects include managed grazing, water infrastructure improvements and selective timber harvesting. We work in partnership with public agencies and private owners to protect natural resources: the flora, fauna, water, air and soil that exist on all POST protected properties. We raise money through grants and donations to eradicate invasive plants, restore riparian habitats and native grasslands, ensure fish and wildlife passage and prevent soil erosion. When well managed, recreational activities like hiking, biking and horseback riding provide people with the chance to build a healthy connection to the land while also protecting the natural resources on each property. We work with public and private partners to plan and build trails, while protecting the most sensitive environments. 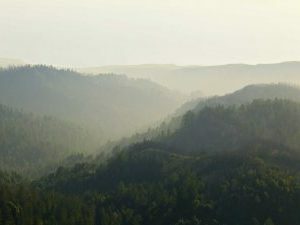 In 2015, POST began our first selective harvest of redwood on 80 acres of San Vicente Redwoods under the direction of Nadia Hamey, a Registered Professional Forester. The harvest follows a rigorous Timber Harvest Plan (THP) that took nearly three years to prepare and was reviewed by POST, numerous state regulatory agencies and our project partners—the Sempervirens Fund who is co-owner of the property, and Save the Redwoods League. The goals of the plan are to improve forest health, improve the vigor of native plant communities, reduce fire hazards and reduce sedimentation to waterways on the property. Revenues resulting from the timber harvest will be invested back into ongoing stewardship of the property. POST’s Farmland Futures Initiative is not just about farmland acquisition and protection; it’s also about strategic investments in the farm infrastructure that makes farm businesses successful. Barns are some of the most iconic and necessary pieces of farm infrastructure and, together with our tenant Dede Boies, POST is working to rebuild the over 150-year-old Root Down barn using sustainably harvested redwood from our San Vicente Redwoods property. 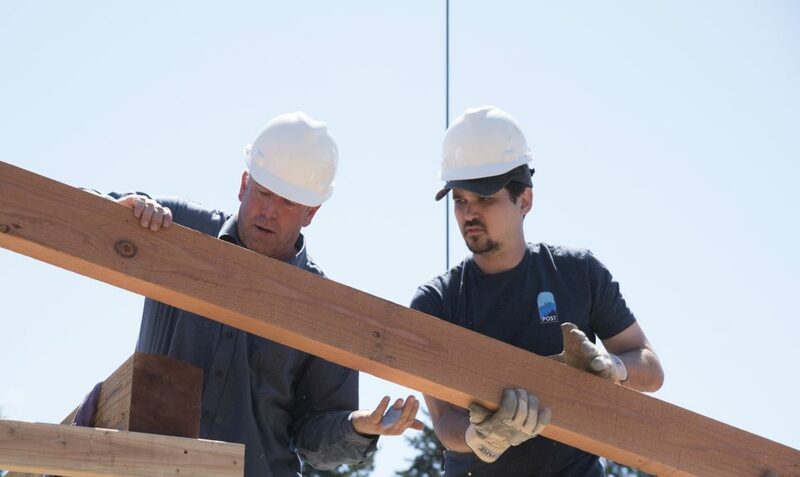 Following a successful July 4th community barn raising, builders will be working through the fall on nitty-gritty details like framing, roofing, adding exterior doors, and wiring for electricity. For more coverage: you can read more about the importance of barns to farm businesses, or delve into the construction details of a barn meant to last 300 years, or read about the July 4th community barn raising. POST is partnering with the San Mateo County RCD on a restoration project along a one-mile stretch of Butano Creek on POST’s Butano Farms property. The project involves the installation of a series of bioengineered log jams to limit further incision of the creek channel and raise the creek bed so it can reconnect the creek with 115 acres of the historical floodplain. We expect this work to reduce flooding to the downstream town of Pescadero, reduce sedimentation in Pescadero Marsh, create habitat for coho salmon and steelhead trout and increase groundwater infiltration via the restored floodplain. The project has been funded by a competitive grant from the state’s Urban Streams Restoration Program. Design and permitting are ongoing and construction is expected to start in the summer of 2016.